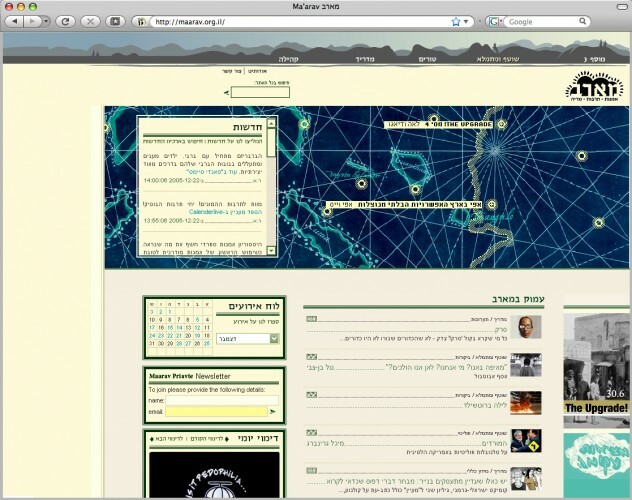 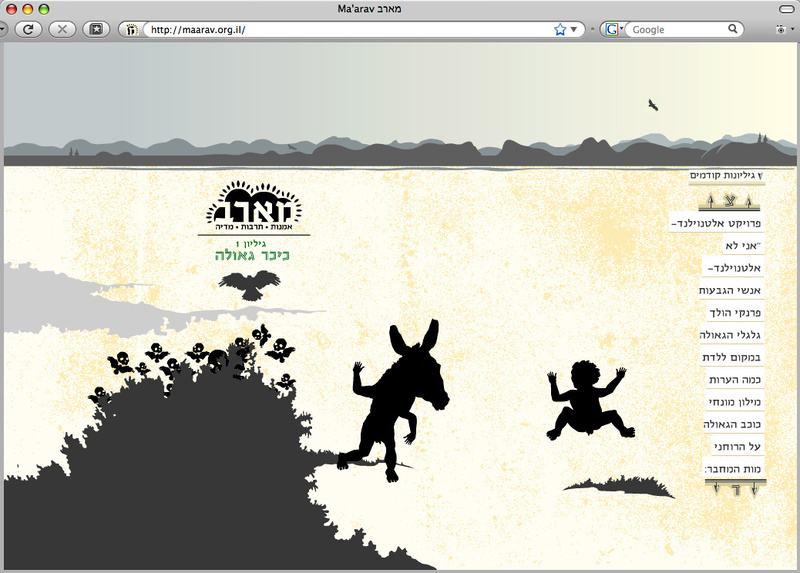 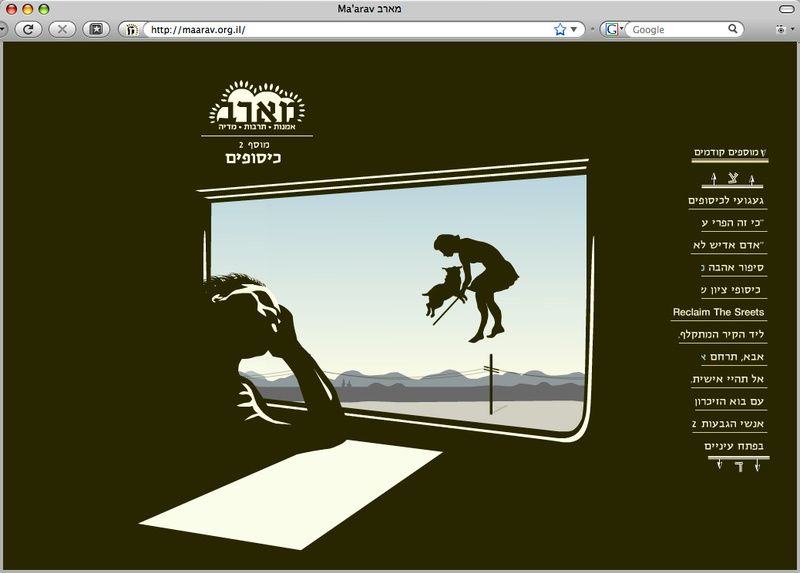 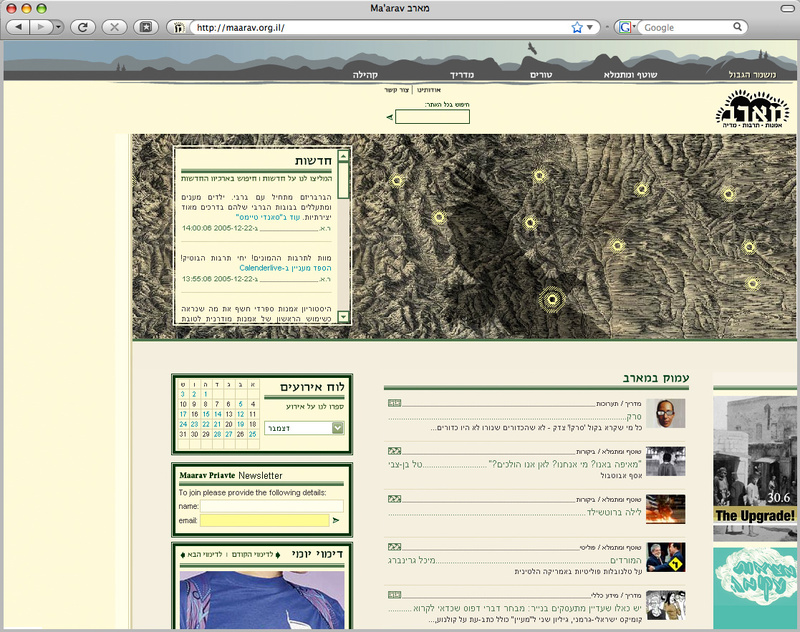 Maarav is an online art magazine which is known for its social and political critique of Israeli culture. The site is divided to 4 main sections that contain articles, reviews, creative projects, columns, comic strips and a guide. 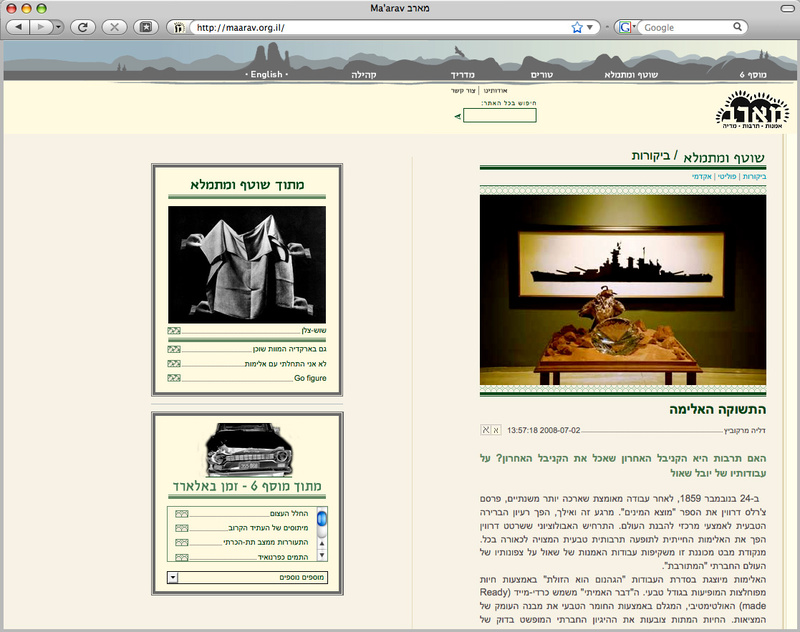 Periodically, the magazine publishes a theme issue, for each issue we design its own animated table of contents, as a visual response to the issue’s theme.